As cyclists, we’re all happy to look up the best cities for cycling and perhaps plan our vacations around those destinations, but what about the worst cities? Which cities around the world are awful for cycling? Now, I am not talking about cities within conflict zones and other dangerous locations, just cities we normally wouldn’t mind visiting as tourists. So here we go, in no particular order. According to Thomas Anderson, a cyclist from Denmark who has cycled around the world, Sydney is the worst city in the world for cycling. Apparently, drivers hate cyclists there and aren’t afraid to dish out verbal abuse, honk or dangerously skim by you as they pass by. The city has even been named “the world’s toughest regime” for cyclists due to an extensive list of fines, including that for adult cyclists not carrying identification. For more than half the year, this hilly city is so hot and humid that it feels like a sauna – people do not even want to walk outside, let alone bike. In order to cross the multi-lane highways, cyclists would also have to use the pedestrian overpasses, which means carrying their bikes up and down the steps. On the road, cyclists risk their lives with crazy minibus and taxi drivers speeding around, when they aren’t stuck in traffic jams. So those who want to cycle in the city normally venture to specially built recreational areas outside of the city centre or to exclusive private club grounds for that kind of “luxury”. Traffic conditions in this crowded city are horrid, with massive traffic jams thanks to the lack of adequate public transportation and road engineering geared towards cars. The cycling lanes built for the Commonwealth Games 2010 have fallen into disrepair and are now also used by motorbikes. Add Delhi’s air pollution, which is twice as bad as Beijing’s, and the city is even more of a nightmare to cycle in. Apparently, a study has found that the health benefits of cycling there are cancelled out once you ride your bike for five hours of more per week. Known for having the world’s worst traffic congestion, the city is also infamous for harsh, snowy winters. Thanks to the number of cars in the city, Moscow is the second dirtiest city in Russia, second only to the northern mining centre, Norilsk. In addition to these factors, cyclists must also be prepared to deal with fiery road rage, poor driving habits and numerous cars parked illegally on pathways. They must also carry their bicycles up and down stairs to reach bridges and underpasses just to cross highways, and cross multi-lane streets at pedestrian crossings. 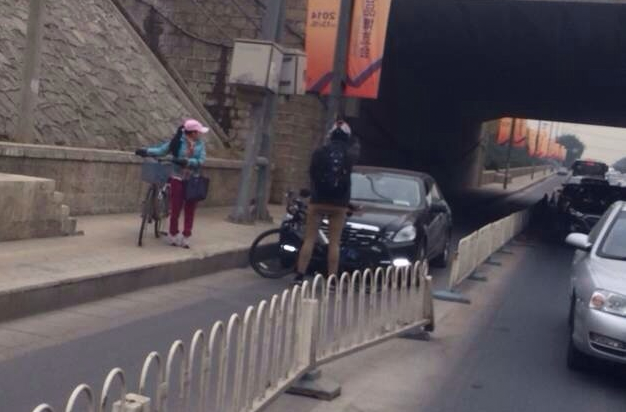 Sometimes, local cyclists resort to cycling on sidewalks, which is not ideal for pedestrians. In Cairo, cycling is stigmatised and mainly seen as a mode of transportation for delivery men, who make their rounds on rusty, old bikes with deflated tyres. Sexual harassment makes it even more difficult for women to cycle. Traffic is chaotic in the city, with drivers lacking lane discipline, and the numerous potholes are a danger to cyclists. On top of that, the intense smog and heat also help make cycling in the city a nightmare. Once upon a time, Beijing was known for being packed with cyclists, but cars have taken over, and its traffic jams are a nightmare. 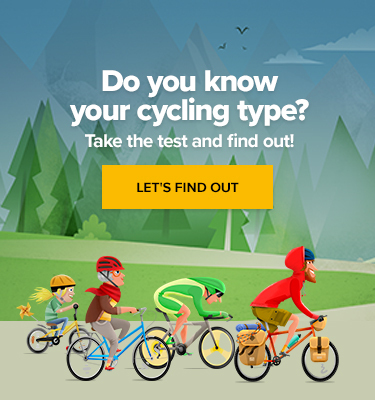 Cycling has also come to be stigmatized as the mode of transportation for “losers”. 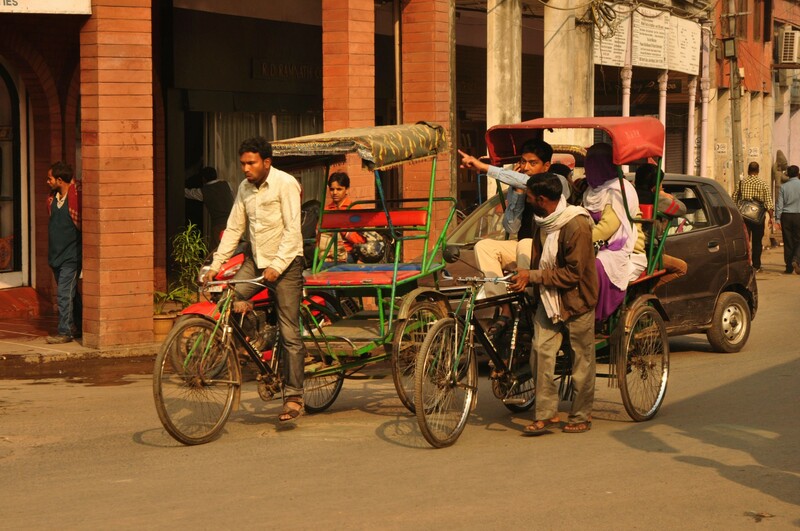 Sure the city has bike lanes, but they’re full of parked cars, pedestrians and auto rickshaws. To be honest, when I visited the city in 2016, I didn’t even know those lanes were for bicycles. On top of that, there is the city’s infamous air pollution. Traffic congestion and air pollution are both highly problematic in Nairobi, and the situation is just getting worse. It’s hard to feel safe in this city as the rate of accidents involving pedestrians and cyclists is extremely high. Although sometimes there are bicycle lanes, they are not clearly marked, causing much confusion for both cyclists and motorists. Not only are some markings misleading, but the cycling lanes often end unexpectedly. This populous city is known for the disordered state of its roads. Nobody cares about road markings, and there are no bus or bicycle lanes. Cycling here is also looked down upon as the way people such as delivery men and newspaper vendors get around. In this chaotic environment, with little respect for cyclists, few want to risk their lives by cycling. Factor in the air pollution in this city, and it isn’t hard to see why cycling in Mumbai is not recommended. 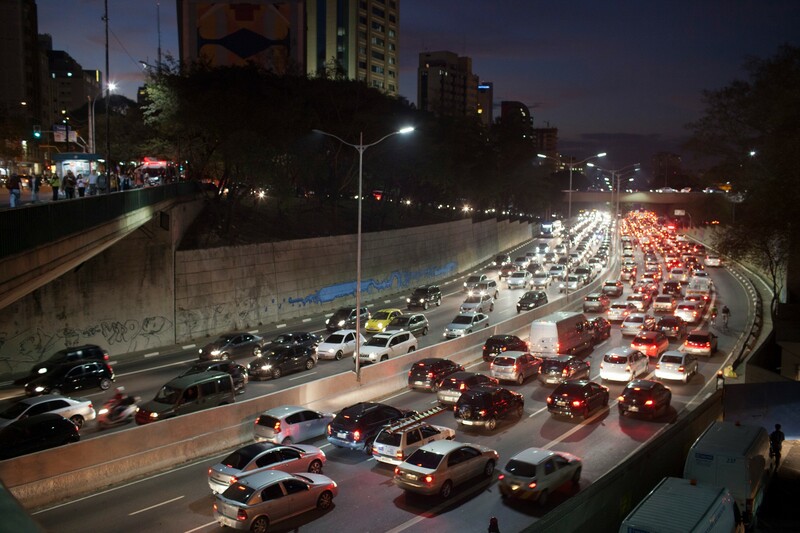 The traffic is so bad in São Paulo that wealthy people avoid it altogether by taking helicopters. When you aren’t stuck in a monstrous traffic jam and suffocating in air pollution, you risk your life by being on the road with people who just drive too fast in general and do not care about the safety of cyclists. In one scary incident, a car got too close to a cyclist and severed his arm; as if that wasn’t bad enough, the driver took the victim’s arm and threw it into a river 30 km away. The whole American state of Florida is considered dangerous for cycling, with the highest rate of cycling fatalities in the United States. Cars and trucks dominate the roads, and the building of wider, faster roads to relieve traffic congestion is making it more difficult for cyclists. Out of all the cities in Florida, Orlando is seen as the worst. Don’t expect an adequate network of bicycle lanes when there is even a lack of crosswalks, crosswalk lights and sidewalks. The hostile attitudes drivers have towards cyclists and the lack of knowledge and enforcement of bicycle safety laws also don’t help. If cyclists aren’t taking verbal abuse or honking from cars, they’re getting bumped into and treated as if they were invisible. 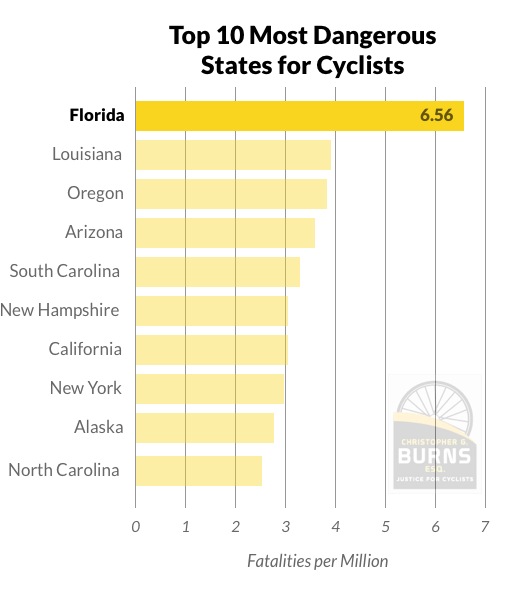 So now you have it, my top 10 worst cities for cycling. I’m sure you have your own personal stories to share, and I look forward to reading them in the comments section. Can Better Infrastructure Bring More Women to Cycling? Top 10 Cycle Friendly Cities: Which One Is the Best? 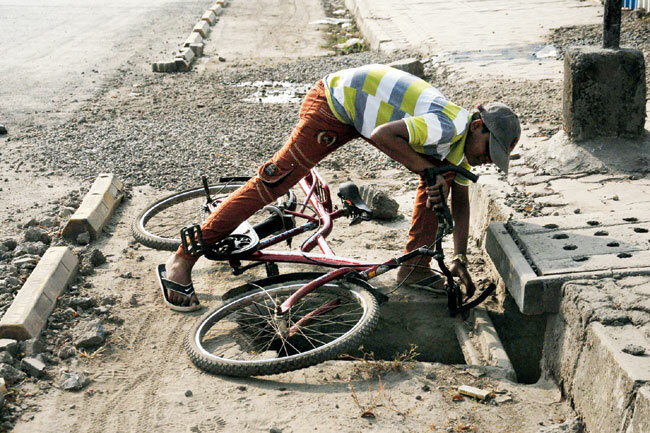 Cycling Horrors: What’s the Worst Kind of Booby-Trap You Can Find on the Road?